The Educational Construction Series provides a range of informative and educational experiences through the construction of fun models. 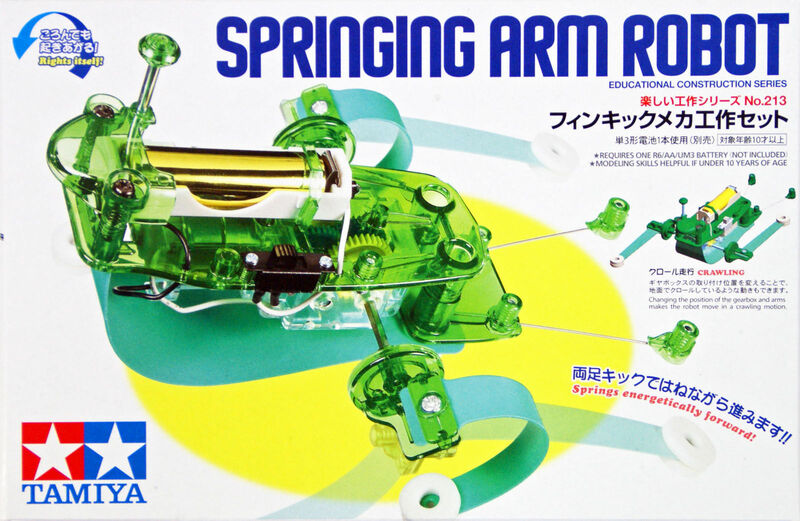 The Springing Arm Robot is no exception. 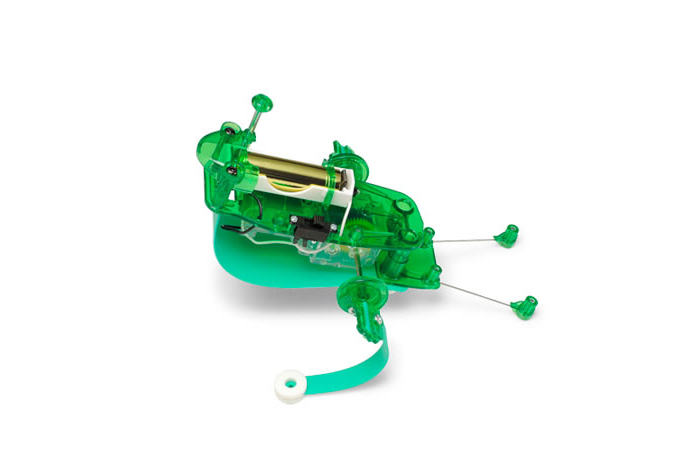 The effective yet easy-to-understand mechanism allows the Springing Arm Robot to use its two motor-powered flexible arm-like appendages to propel itself rapidly forwards in an energetic springing motion. It can cover 1 meter in a mere 4-5 seconds, and thanks to the bar-shaped rear stays on the back of the robot, it will automatically right itself if it gets put the wrong way up. Comes with conveniently pre-attached motor and switch, and includes everything needed for hassle free snap-fit/screw-together assembly. The twin rear bars not only help the model to regain its feet, they also aid balance when the robot “jumps”, and can be adjusted to help the robot turn as it progresses. A durable underside cover protects the gearbox and underside of the robot. Positioning one of each of the rear bars upwards and downwards influences the direction the robot takes. When the right bar is upwards and the left down, the model moves to the right and vice versa. 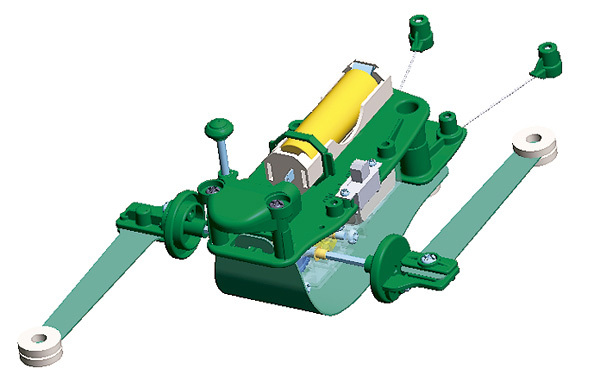 By changing the gearbox and arm attachment directions like so, the model moves forward using a crawling motion. Requires one AA batteries(sold separately). provides up to 2 hours of fun!